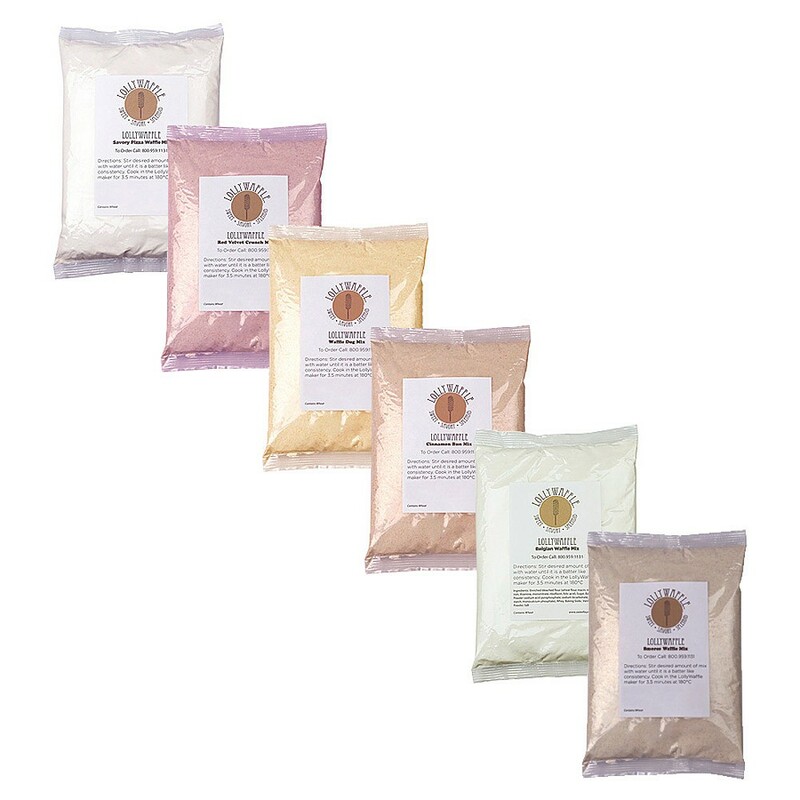 Our amazing LollyWaffle Mixes only need water and will make delicious waffles on a stick. 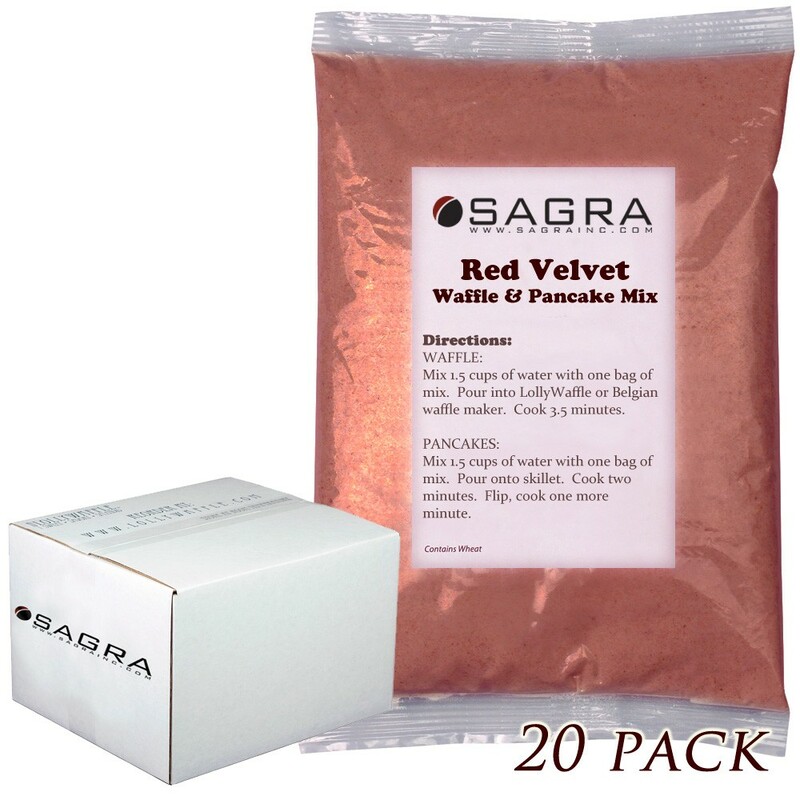 From our Red Velvet Blast and Cinnamon Bun mixes that are great with our cream cheese sauce to the Smores on a Stick mix, we have the most unique mixes available. 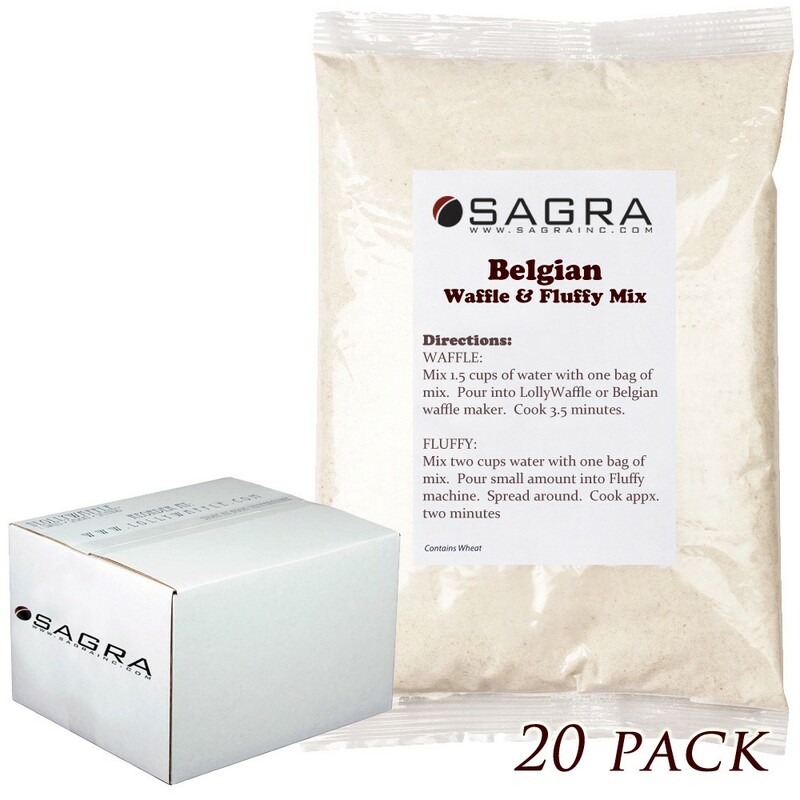 All our flavored mixes include flavor bursts in the mix. Don't forget our Belgian mix and our delicious savory mixes (Corn Dog and Pizza). You can't beat the price or quality of LollyWaffle Mixes. LollyWaffle Cinnamon Bun Waffle Mix - 20 lbs. 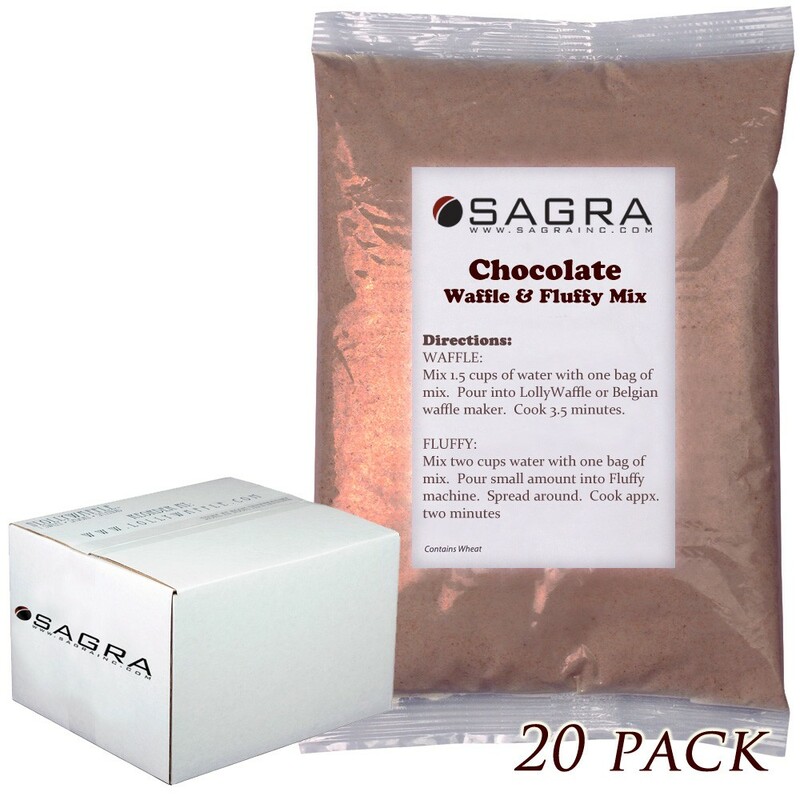 LollyWaffle Red Velvet Crunch Waffle Mix - 20 lbs. 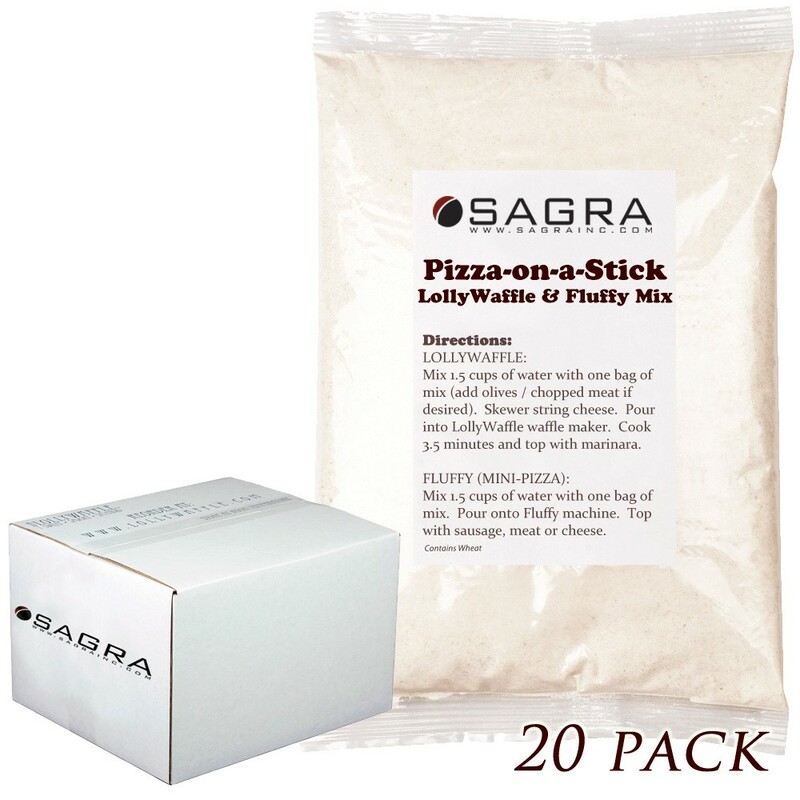 LollyWaffle Pizza Waffle Mix - 20 lbs. LollyWaffle Waffle Dog Mix - 20 lbs.